Training ramped up last week, two centuries over two days over the weekend, although I didn’t quite finish the Hell of the South on the Sunday. I’d been struggling to hang on all morning, not quite able to keep up, the guys waiting for me at the top of each climb, and then shooting off a soon as I got there. Can’t blame them, they were setting a cracking pace. And then there was the group in front of them, led out by Mr 3Peaks himself, Steve Cunningham. I will claim some credit though behind his performance on Sunday, I led him most of the way up the Parade, pulled myself inside out, pushed myself to the limit, let him draft behind my wheels for all of 5km. I spent my Uni years living not far from here so know the roads well. A brief history of the area. Under the Reservoir is the site of the town Millbrook. To the east of the main road intersection where you swing South towards Gorge Road was the township of Chain of Ponds. Chain of Ponds used to be a creek which ran all the way from beyond Kersbrook to its confluence with the River Torrens near Prairie in the Adelaide Hills, South Australia. The area was dotted at regular intervals with small water holes, having no visible connection above the ground but never drying up even in the driest, hottest summers. Just up from the intersection, you may notice a clearing on the RHS. This was the location of the old Morningstar Hotel, established around 1850. The publican was a fella called Oliver Philp, and the area now known as CoP was originally called Philptown. The township later changed its name to Chain of Ponds in 1864. It was initially a postal village, and played an important stopover role in the difficult trek across the ranges. The roads were very poor indeed and travel through the area was extremely difficult, due to the hilly terrain and thick dense scrub. The Adelaide to Mannum coach service from the mid 1850’s used the Hamlet as one of four changing stations through the Adelaide hills on their trek to Mannum. The town grew and was reported to include two post office buildings, institute, church, service station, a handful of cottages and the old Morning Star Hotel. In 1855, it had a population of around 100 people. By 1888, the town had grown to 130 over 29 houses. The Millbrook Reservoir is named after the small town of Millbrook which was abandoned for the construction of the Reservoir over the first world war years between 1914 and 1918 to control the flow of the upper Torrens River and supply the eastern suburbs of Adelaide. In the 1970s, Chain of Ponds was also demolished to safeguard against water pollution in the reservoir. I can recall once in my Youth seeing the old bridge exposed. Half way up Pound did it for me. I’d fallen back on the descent down Burdetts trying to work out what that horrendous noise was that coming from my bottom bracket (I didn’t want to nose dive on Burdetts) . By the time I got to the bottom, the lads had disappeared, so it was a lonely ride to the top, crossing the “line” with that oft used throat slash signal, too tired to stop to thank them, and coasted on down to have a chat with Thomas Playford and a refreshment. Overall I’m closing in on the 40km elevation gain this calender year. My target before 3P is 50km, but not quite sure if I’ll get there. As mentioned above, just before I finally pulled out, my rear hub was making an intermittent horrible noise. I think I sussed it out, hopefully all that is needed is a regreasing of the rear hub. Click on this link to have a listen, give it around 11 seconds before you hear the strangling of the goose!. I’ve got it booked in for a service at Corsas next week, so its onto the trusty Aluminium Argon Plutonium for a few training rides until I can get this sorted. A reminder that if you want your bike services before you head over to 3 Peaks, you better get it booked in very soon, the mechanics appear to be booked out a week in advance. I follow a blog called carbon addiction. Just random postings sometimes once a day, sometimes more. Some days I just flick through them, others throw up some interesting and amusing reading. A very eclectic mix. Have a look here. Well things have certainly changed. I’ve moved on from the FUIC to Fleuriea Iced Coffee which I find less sickly with a real coffee flavour. And Sammms, well they closed doors so many years ago I’ve forgotten when but it would have to be around 10 years ago. A shop down from the intersection of the Norwood Parade and Osmond Terrace. I’m not sure when it’s opening, but it can’t be long now. I had the pleasure of receiving a Capo Jersey a month back, the jersey for a group riding in the Ride to Cure Diabetes. The Ride to Cure Diabetes creates a great opportunity to raise awareness and funds for type 1 diabetes. 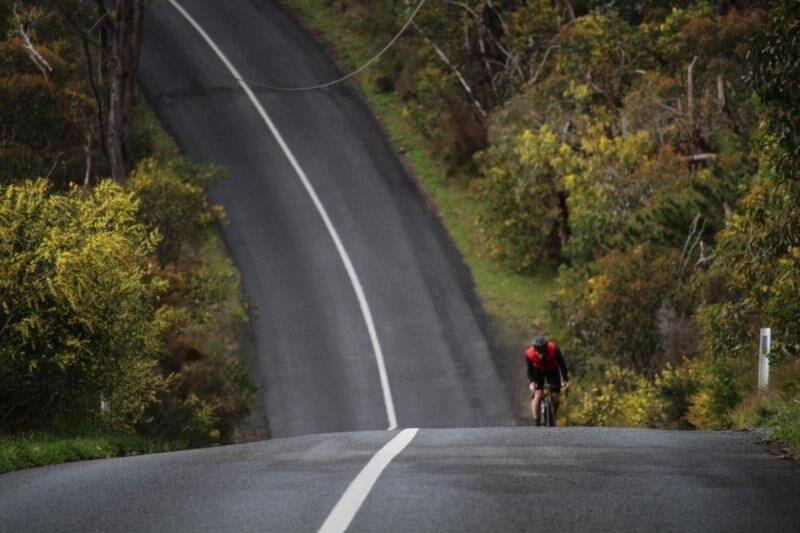 Held in the Barossa Valley, Riders can choose one of three courses of 35km, 80km or 160km. Funds raised through the Ride to Cure Diabetes will help JDRF’s research strategy to cure, treat and prevent type 1 diabetes. Anyway, the jersey is the standard Capo Pursuit but with the sponsor logos printed on the front and back. I have had my eye on their gear for quite some time, but never got around to buying any.